What are the chances? 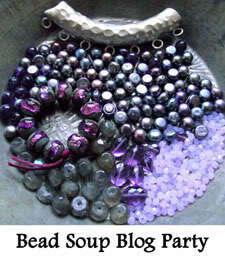 My Bead Soup Blog partner is someone I am already very familiar with, Heather DeSimone, co-owner of The Beadin’ Path in Freeport, Maine. You will often find me poring over the designs and articles on this award-winning store’s website, a virtual one-stop wonderland for jewelry designers. Not one to wait, I ventured out last week in search of beads for my soup, straight to my favorite brick-and-mortar beadstore, Beadazzles. Beadazzles’ owner, Alice, is a great source of inspiration and an artist whose designs always make a statement. Her shop is a reflection of her own style, and is so much more than a place to buy beads; it’s a destination and, usually, a hive of activity. But when I stopped in last Monday morning, I found a lone beader working at a corner table, and Alice, restocking the seed bead wall. When she heard about my mission, she jumped at the opportunity to offer her suggestions (which I took, with much gratitude.) And that was before I knew who my partner was! So am I nervous about sending out this package to Heather, who spends her days surrounded by strands of glass, shell, gem, vintage and crystal beads? Is there any chance she’ll be inspired? Since my choice of beads was guided by one savvy bead store owner and going into the hands of another, I think the odds are just fine!!! I'm sure it's WONDERFUL! Heather is a doll, I've met her personally, and she'll do something wonderful with what you send her! 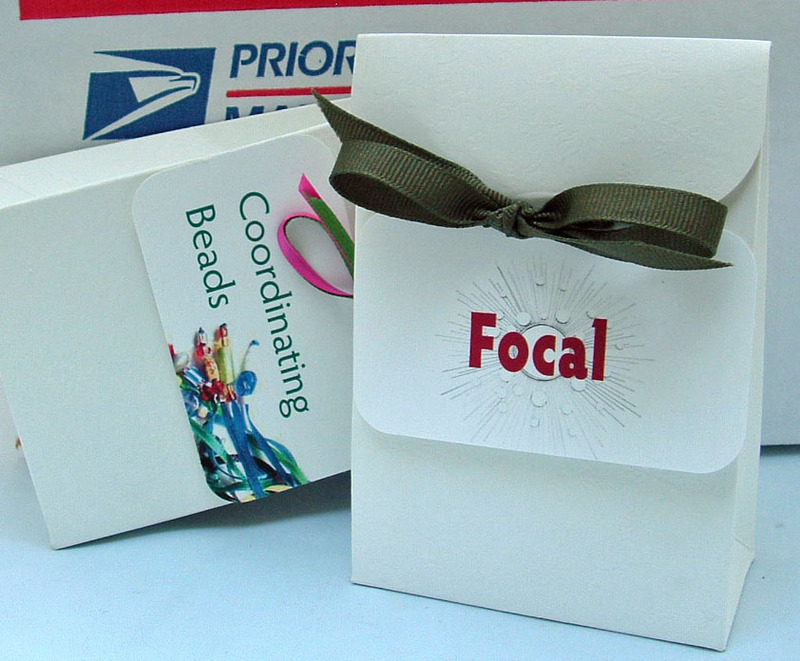 Great packaging Karin! As Lori said, Heather is a doll. I shopped The Beadin' Path for years and finally had the opportunity to work for Heather for a couple of years a few years back.